How Long Should You Wait to Treat Shark Teeth? Shark teeth are relatively common in children. 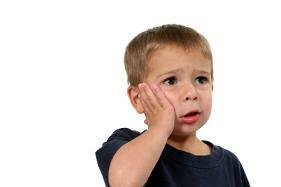 It happens when a baby tooth remains in the mouth after the permanent tooth has erupted. This leaves your child having two rows of teeth in their mouth. Some dentists don't worry about shark teeth, while others recommend an immediate extraction if there are two teeth in the mouth for the same location. When it comes to treating your child's shark teeth, you need to keep a few things in mind. First, you need to keep in mind that this happens a lot. This is not unique, and your child's dentist has likely seen it numerous times before. Second, your child is going to be nervous is you talk about their dentist pulling a tooth, so let your child know that you are going to see the dentist for the tooth, but let the dentist explain what is bound to happen. Finally, not all shark teeth need to be extracted immediately. Most shark teeth on the bottom arch of teeth can stay there until they fall out on their own. Typically, when a dentist recommends that a tooth be extracted, it is on the top arch where the teeth tend to be a bit more stubborn before falling out. If your child has a set of shark teeth, don't panic. Call in to your child's dentist and see what they have to say. If you think the dentist is being too lenient or too drastic in their proposed treatment, seek out another opinion. Children's dentists tend to go off of a parent's perspective on a regular basis, so the dentist may be saying what they believe you think is best. Find out what is actually best for your child's mouth, and go from there!